What is NAATI Accreditation and Recognition? Not all countries have strict rules for translators and interpreters, but Australia does. The organisation that sets and monitors standards in this field is called the National Accreditation Authority for Translators and Interpreters (NAATI). It is the body that provides the national standard and accreditation for translators and interpreters. Its aim is to seek to maintain high national standards in translating and interpreting to ensure there is a pool of talented and accredited translators and interpreters available to meet the demands for language translation in a multilingual country. The primary aim of NAATI is to issue credentials or accreditations that recognise the skills of translators and interpreters so that they can be employed in the community and those who employ them know that they will do a good job. How to Get NAATI Accreditation? Providing proof of membership of a translating professional body overseas. NAATI recognition isn’t offered in all languages, particularly those that aren’t in high demand. Once you have been granted NAATI recognition it is an acknowledgement that you have recent experience as a successful translator and/or interpreter. There are a number of NAATI approved translation and interpreting courses that are qualifications of at least a diploma level or higher. The courses are offered by certain Vocational Education and Training (VET) and Higher Education campuses that have been approved by NAATI as having the credentials to teach and assess the knowledge and skills needed in the translation environment. Anyone who gains a qualification at a NAATI approved educational institution may file an application for NAATI accreditation without the necessity to undergo any more testing. Accreditation from NAATI does have an expiry date. Every now and again if you have NAATI accreditation you are required to produce evidence that you have been working as a translator and have been involved in professional development. This evidence is sufficient to revalidate your credentials for the following 3 years. NAATI accreditation isn’t just there to prove you can translate. It can help those wishing to migrate to Australia in a number of ways, including the following. It is part of a skills assessment for those migrants or workers who are sponsored by an employer or who have been nominated for employment by a territory or state government. The accreditation is a qualification that points can be claimed for in the skill category as a translator or interpreter, which is particularly useful for a migration visa that is accessible on gaining a certain number of points. NAATI accreditation can also be used for the migration visa that’s based on points called the Credentialled Community Language (CCL) points. The 1994 Migration Regulations has allocated NAATI as the assessment authority for the interpreter and translator occupations. If you file an application for your skills to be assessed, NAATI will offer to provide an assessment of your skills in two categories, which are either as “suitable” or “unsuitable” for your specific occupation as either a translator or interpreter, i.e. NAATI professional-level accreditation or higher. It’s not too difficult to understand that if you have NAATI accreditation it will help with your migration application by accumulating much needed points. Why do I Need my Documents Translated by a NAATI Accredited Translator? It is a requirement of most Australiam government departments including the Department of Immigration and Border protection, which handles visa applications, that all documents that are not in English must be translated by a NAATI translator for anyone who wishes to apply in one of the migration categories to reside in Australia (assuming the translation is getting done in Australia). That means if you have important documents like birth and marriage certificates which are not in English they must be translated by a NAATI translator before they are presented as part of your migration documentation. There are other documents that might fall into this category, including degree and diploma certificates, past employer references and medical examination documents completed in another language that’s not English. Under NAATI’s present system, there are 10 different kinds of accreditation, which are listed below. This is the highest level of accreditation for NAATI accreditation. It shows the person has an excellent level in conference interpreting which has been recognised by extensive experience and success in this area. This is NAATI translating accreditation at the highest level. It shows an excellent level in specialised translation, gained through not only extensive experience but international leadership in translation too. This shows the ability to interpret in complicated, technical and sophisticated situations. Conference interpreters work in situations where high-level negotiations are underway and at court proceedings. This sort of competence level is necessary when handling the more complex, technical and more sophisticated translations. Often an advanced translator will work on technical manuals, will translate research papers, conference documents, and work on documents related to higher-level negotiations and on documents related to court proceedings. This group represents the lowest level of competence for interpreting as recommended by NAATI for working in many different environments including the areas of law, banking, health, community and social services. A professional interpreter is capable of interpreting in semi-specialised environments and is able to use the consecutive mode in order to interpret presentations and speeches. This represents the minimum level of competence for professional translating and is the minimum level recommended by NAATI for work in settings including banking, law, health, social and community services. Translators at this level work across a wide range of subjects involving documents with specialised content. This accreditation is the competence level in interpreting for general conversations. Para-professional interpreters usually participate in the interpretation of dialogues which are non-specialist. Practitioners who have been accredited at this level are generally encouraged to get professional level accreditation if they can. This is the competence level necessary for undertaking translations of non-specialised information such as a birth certificate. A practitioner at this level could get a more professional level accreditation when ready to do so. This credential doesn’t have a specified proficiency level. All recognised interpreters should try to get a higher level of accreditation. 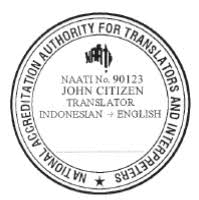 This is a NAATI credential that acknowledges the date of the award the translator has had regular and recent experience working as a translator with no particular proficiency level specified. 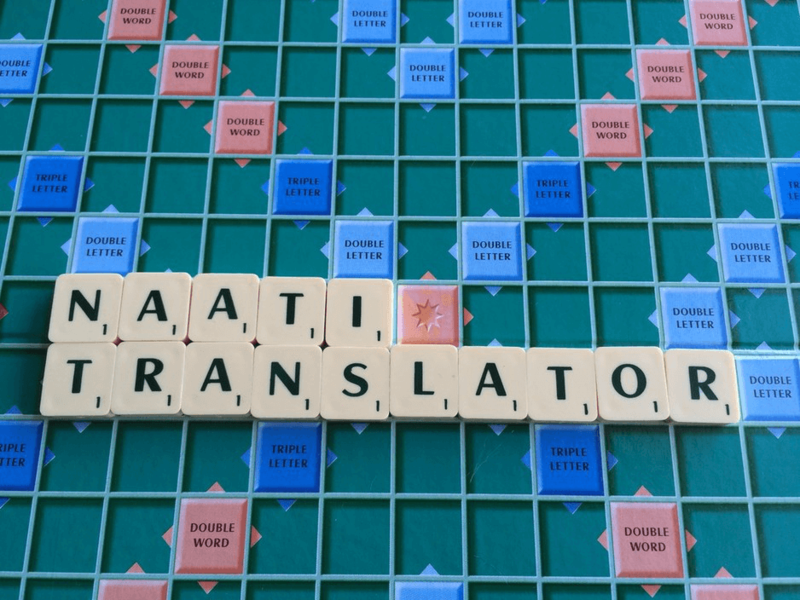 The NAATI translator accreditation is a service that benefits all involved in the translation industry. It accredits translators and interpreters so they can prove their expertise in their field and have a better chance of employment. It helps organisations, such as the Australian Department of Immigration and Border Protection, ensure that potential immigrants have the required credentials to enter the country. It also ensures that NAATI translators and interpreters keep up their standards by insisting on a revalidation of NAATI status every 3 years. All in all, NAATI accreditation is the envy of countries throughout the world. Working with a NAATI accredited translator can help to make the visa application process run much more smoothly. 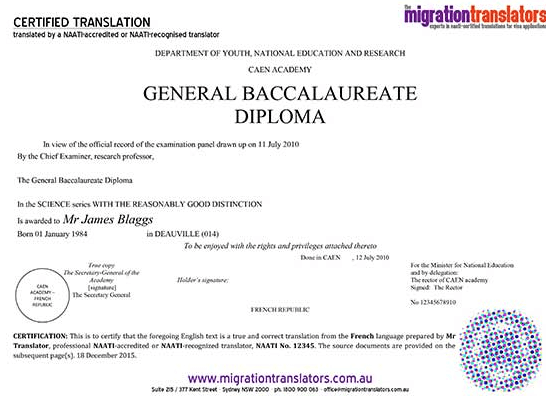 Unless you have a strong reason for preferring a translator from one part of the country, for example a translator in Melbourne if you need local knowledge of that area, then NAATI accreditation is the key point to look for. It is still possible to use a translator if you plan to make an online application. You will simply have to copy and paste the translated document into the relevant parts of the application form. 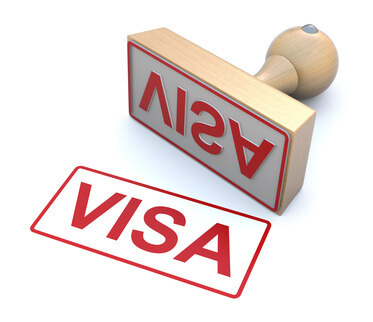 At current time there are only some visas for which online application is possible although it is reasonable to assume that this will change in the future. It’s worth noting that even online applications often need supporting documentation sent by snail mail. In translation terms a good translator is one who will convey your message clearly and accurately and who will make sure that they understand not only your words but also your intention before they convert them into English. NAATI accreditation is a seal of approval for technical efficiency, the issue then becomes one of professionalism and reliability. Unless there is a strong reason for preferring a translator from a particular geographical area, for example a translator in Melbourne if you intend to visit that area and may wish to use their services for other purposes, then you are free to check online for candidates and agencies who meet your requirements. Word-of-mouth recommendations and client testimonials are much more valuable than rock-bottom prices. A professional translator will want to create the best translation possible and will consider it vital that they completely understand your source text. If they don’t they will want you to clarify it before they start to translate. The more promptly you respond, the quicker and more accurately they will be able to translate your document.